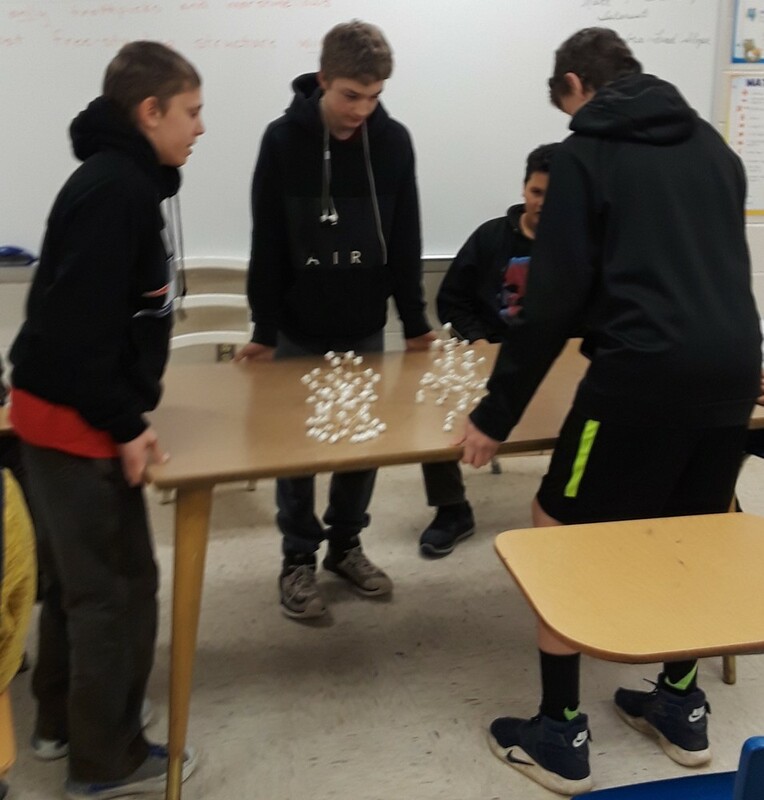 The 8th grade students in Mrs. Hellums’s STEM class identified factors that make buildings earthquake-proof including cross-bracing, large "footprints," and tapered geometry. 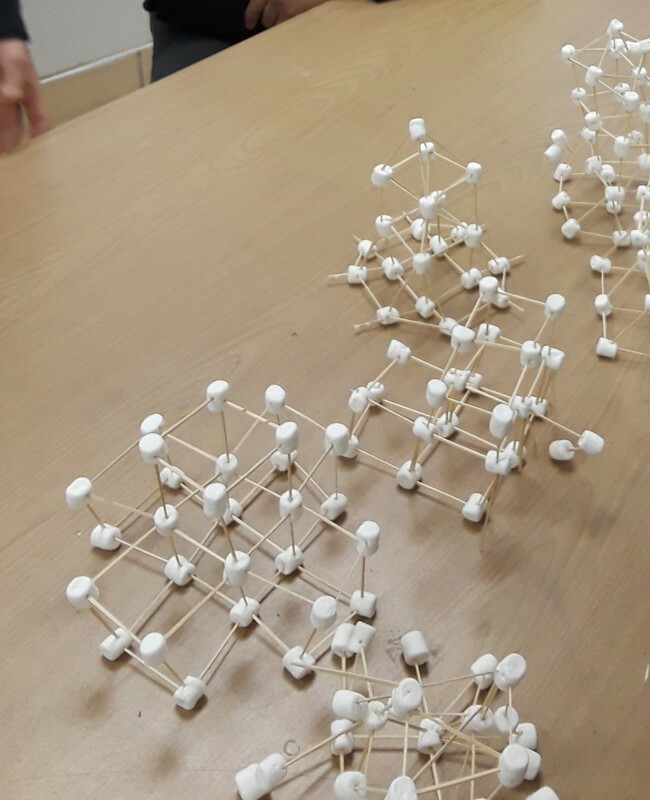 They designed, built, and tested earthquake-proof structures using marshmallows and toothpicks. They compared their model structures and discussed why some models failed during our simulated earthquake while other models survived.